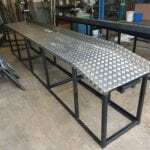 SAS Welding Services are well known in the Glastonbury area and across Somerset, for top notch fabrication services. 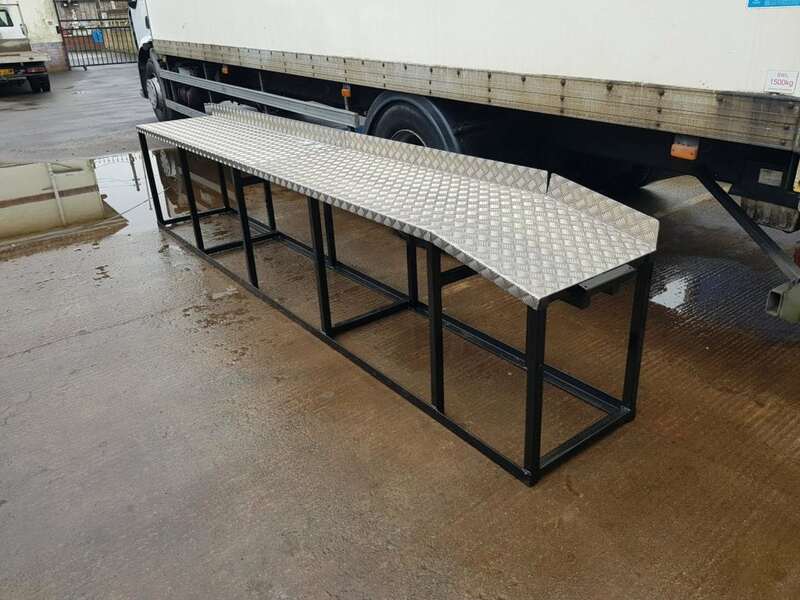 We recently did a custom fabrication job for a customer from Evercreech, near Shepton Mallet in Somerset. 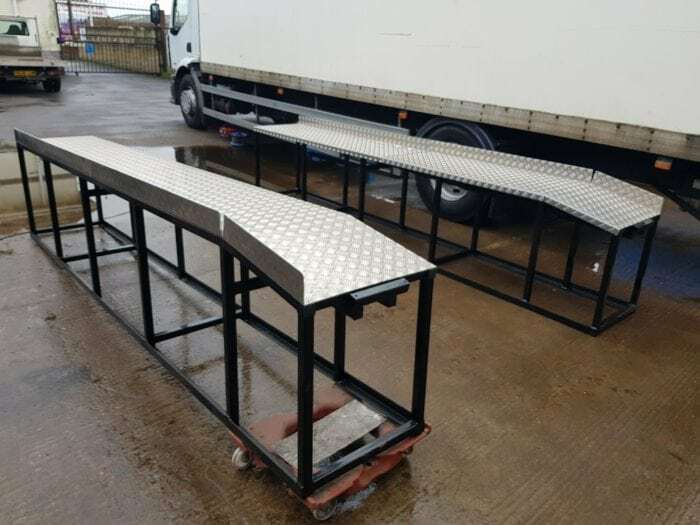 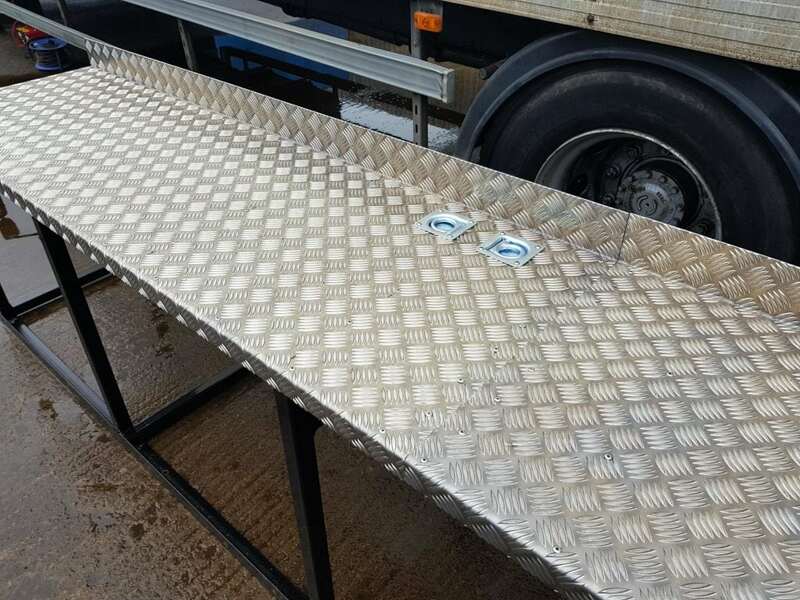 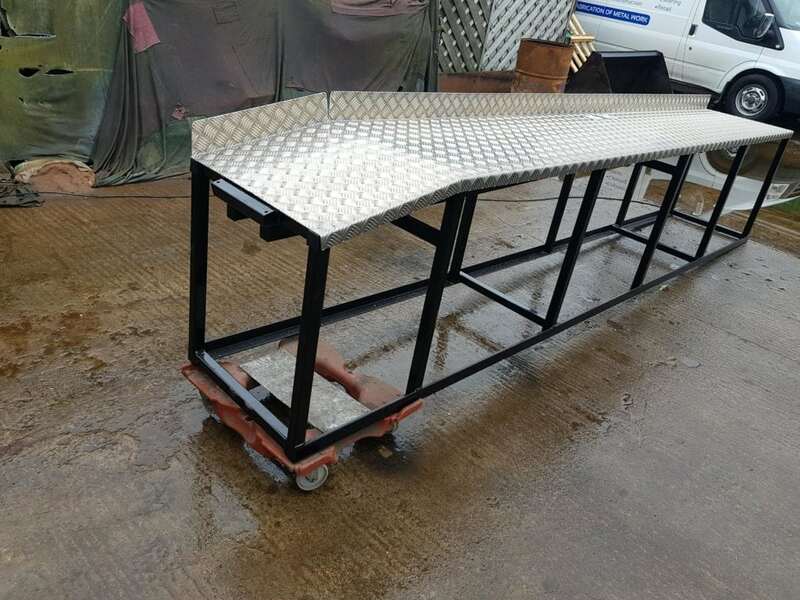 Our fabrication team were asked to fabricate custom work benches for the back of a race lorry. 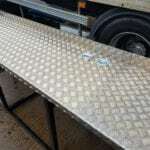 They will be used to park cars on when in the back of the lorry during transport. 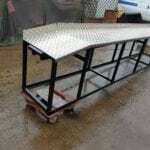 Designed to allow space for pull-out ramps and storage space below. 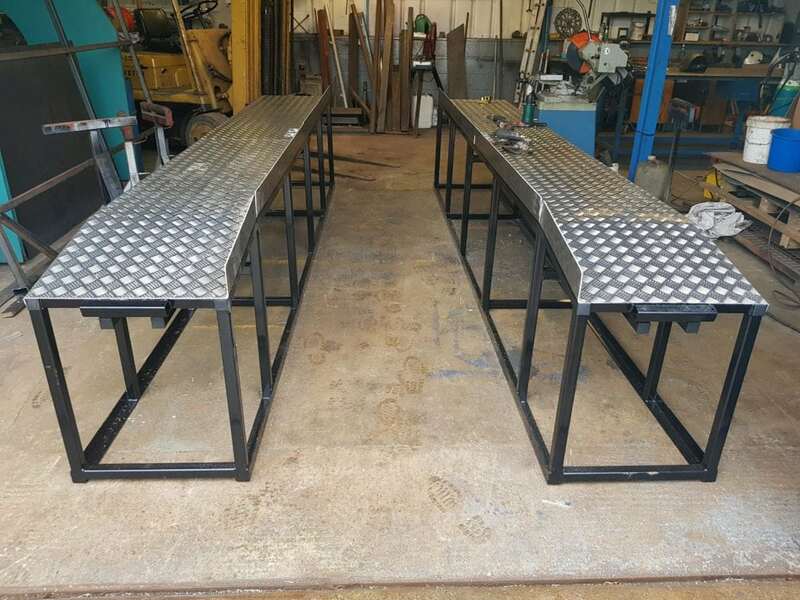 These were made from 40x40mm SHS and powder coated black. 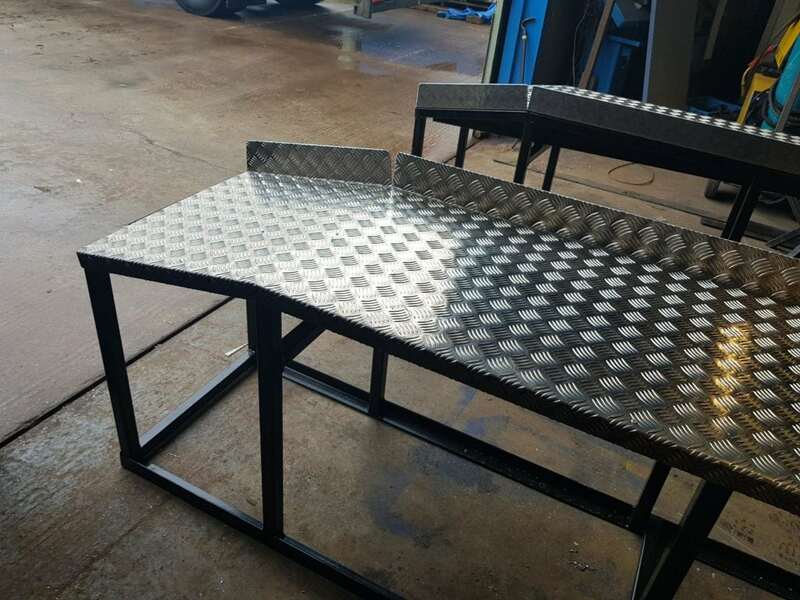 The benches were fully MIG Welded, to a professional standard with 3mm folded Aluminium tops. 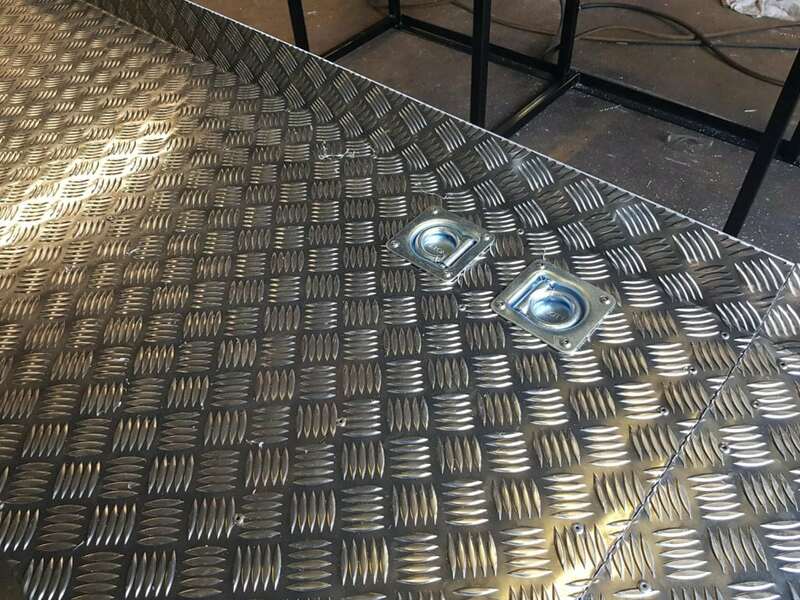 The customer was very satisfied with the finish, exactly to their specifications. 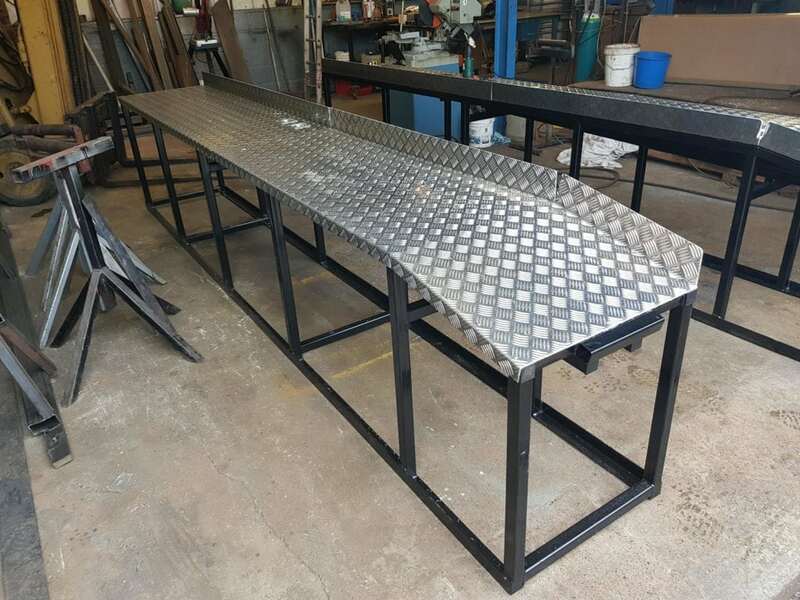 SAS Welding Services are based in Glastonbury, Somerset, with our workshop servicing customers across the county and local area. 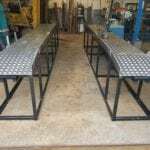 We do small jobs as well as large commercial projects and contracts. 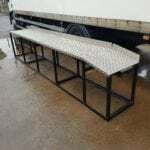 If you need some fabrication services why not take a look at some of our recent fabrication projects. 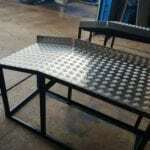 Contact SAS Welding Services to discuss your fabrication needs. 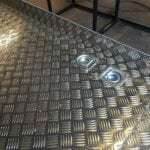 We believe in good customer service and fair pricing.